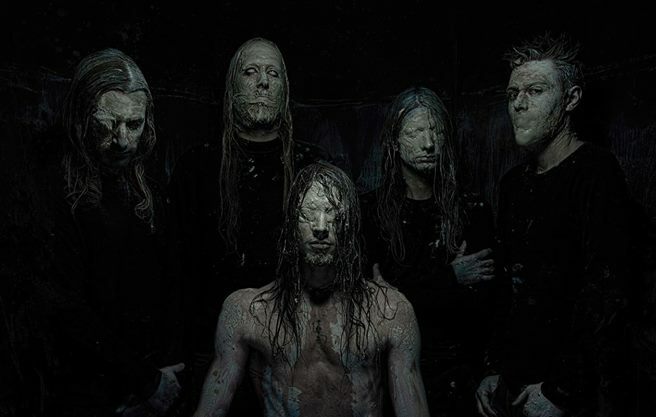 Germany’s most extreme progressive metal supergroup, ALKALOID are now streaming their highly anticipated debut album The Malkuth Grimoire via Loudwire HERE. Consisting of a pedigree of extreme musicians, including current and former members of Necrophagist, Obscura, Spawn of Possession, Aborted, Dark Fortress, God Dethroned, Blotted Science and Noneuclid, ALKALOID set out to push the boundaries of progressive, extreme music on their full-length debut. The group also decided to self-record and self-release The Malkuth Grimoire via a successful crowdfunding campaign on Indiegogo.com. The album will see it’s release on digital platforms worldwide, todoay March 17th, and via Bandcamp and the band’s official site on CD. CDs will be available in stores worldwide on May 8th. ALKALOID have released a series of videos documenting the making of the album which can be viewed here. Alkaloid is a new band created by five good friends, who happen to be well-known musicians of the metal genre. Their intention is to go beyond any limit that metal music sub-genres might have these days and create the world’s most extreme Prog Metal band. They define themselves through the field of tension created between musical opposites. All band members are active death metal musicians who nevertheless all have a much broader view of music than blast beats and growls. They establish from the beginning that they have many faces, and that oscillating between (seemingly) contrary or mutually exclusive styles is an important factor.